Shannon Tiezzi in The Diplomat of 10 January, 2018 talked at length with Michael Caster about a new collection of firsthand accounts from the disappeared. I wrote recently about this phenomenon “RSDL” [https://humanrightsdefenders.blog/2017/12/30/rsdl-chinas-legalization-of-disappearances/] and this piece makes totally clear that it is very widespread. In 2012, China passed revisions to its Criminal Procedure Law. Among the changes was an article dealing with “residential surveillance in a designated location” (RSDL) for those suspected of “crimes of endangering state security, terrorist activities, or especially serious bribery cases.” RSDL it is a legalized form of enforced disappearance, marked by physical and psychological torture. The People’s Republic of the Disappeared, edited by Michael Caster, collects the stories of activists and lawyers who suffered through RSDL. The People’s Republic of the Disappeared documents the experiences of Chinese activists (and one Swede) placed into “residential surveillance at a designated location” (RSDL). Several of those who wrote about their experiences for the book say their time in RSDL was worse than any previous treatment they had experienced, whether in legal detention centers or illegal “black jails.” What about RSDL makes it the most feared type of detention in China? Enjoying this article? Click here to subscribe for full access. Just $5 a month.Under Xi Jinping, China’s assault on the human rights community has escalated to extremes not seen since the 1989 Pro-Democracy crackdown, while technological advancements, not to mention certain complicit foreign companies, have allowed for unprecedented increases in police capacity and state control. Add to that an effort by the Party to weaponize the law through legislation whose only purpose is to mask its authoritarian objectives behind false talk of rule of law. The revised Criminal Procedure Law, in which RSDL is codified in Article 73, is case in point, as it grants agents of the state effectively unfettered power, often in violation of fundamental international law, to act in the preservation of national security, which is synonymous with the preservation of Party supremacy. RSDL is so feared, arguably, because it is so quintessentially totalitarian, right down to the ubiquity of black hoods and midnight raids, evoking scenes from V for Vendetta. Little is known, but that is slowly changing, about what it means to disappear in China. Even a few years after it came into effect, in 2016 many people were still misled by the euphemistic title, the residential in RSDL. Torture is common. RSDL is a tool of repression, designed to terrorize and demonstrate power. It is so feared because it was designed to be feared. One thing that can be done to address this fear is just to spread knowledge about RSDL. Indeed, many frontline human rights defenders have spoken about the protective quality of reading or hearing stories about others’ experiences in detention, such as the pamphlet a Guide to Drinking Tea by Wu Gan, who was recently sentenced to eight years in prison for his rights defense, or Hua Ze’s book In the Shadow of the Rising Dragon, which was a big inspiration for The People’s Republic of the Disappeared. Indeed, one of the goals of this book was to provide some protection for at risk human rights defenders, to mitigate their fears with the stories of others so they would at least be a little better prepared for what to expect. Is the use of RSDL, as compared to other forms of detention (legal and not), reserved for a particular type of person? Those who contributed their stories for the book are lawyers and rights defenders; who else might find themselves “disappeared” into RSDL in China? According to Article 73 of the Criminal Procedure Law, residential surveillance may be enforced at a designated location — in other words in secret and outside the protection of the law — in cases involving endangering national security, terrorism, or serious bribery, and when enforcement in the individual’s actual residence may “impede the investigation.” Of course, the police are also able to deny access to the state prosecutor if it “impedes the investigation” so this notion rings hollow. Based on this, we see at least three vaguely defined categories of people who may find themselves disappeared into RSDL. The connotations of these categories generally refer to human rights defenders who are common targets of RSDL, ethnic minorities and predominantly Uyghurs for whom another system for disappearances is widespread, and elites or political opponents, for whom yet another system for enforced disappearances, shuang gui, exists. If you look closely, China maintains several distinct systems for disappearance, each one generally targeting one demographic or another. Why do you think the Chinese government made the effort to legally define RSDL, granting it a legitimate status, only to disregard any and all legal safeguards while actually holding detainees? China cares about image. The Party wouldn’t harass and detain its critics if it didn’t care. It recognizes the international community places importance on the rule of law, at least rhetorically; indeed there are plenty of other offenders. But China, and as we are seeing with more countries in the region, has perfected the weaponization of the law. Legislation is passed to fit a particular template for good governance and the rule of law, trials are convened, and judgments are passed, “in the spirit of the law” or “based on relevant domestic regulations” or within its “judicial sovereignty.” Absurdly politicized, and yet successful. Some recent examples of China’s success with this strategy are Apple cravenly withdrawing VPN access for Chinese iTunes Store users and Springer Nature agreeing to censor political journals, both out of supposed deference to domestic regulations. Passing legislation such as the Criminal Procedure Law and additional regulations on RSDL, for example, allows the government to hide its normalization of enforced disappearances, and other serious rights violations including torture, behind the veneer of the rule of law. But China fails. Firstly, international law is clear that enforced disappearances are a grave human rights violation and crime, without any exception or circumstance, including state of war or emergency or national security. This is customary international law, binding upon all countries regardless of treaty ratification. Secondly, China’s rhetoric of the rule of law falls apart against international standards that the law be accessible, predictable, equitable, and accountable. None of these features are effectively present, especially with RSDL. China may try to convince the world that it is a country based on the rule of law but this is actually the rule by law, or legalist authoritarianism. Obviously numbers are impossible to come by, thanks to the secretive nature of the practice. But do you have an estimate for the number of people held in RSDL, or the number of “disappeared” overall in China? As I point out in the chapter on RSDL and international law, because enforced disappearances are so heinous they may rise to the level of a crime against humanity if, put simply, they are part of a widespread or systematic attack on a civilian population, and in the last chapter I go into more detail about what this means. In terms of the book, human rights defenders are a major targeted demographic for disappearances under RSDL. By most estimates the number of victims of RSDL range from the hundreds to the thousands. These are those who are placed under RSDL for a few days to those who are kept for the full six months, to those who are subjected to even lengthier and wholly illegal disappearances following RSDL such as with lawyer Wang Quanzhang. An old friend, the book is in fact dedicated to Wang Quanzhang, who remains missing now after nearly two and a half years. When conceiving the numbers of victims, we should bear in mind that international law also recognizes the family members of the disappeared as victims of enforced disappearance, and as such Li Wenzu, Wang’s wife, and the many other spouses, parents, and children of the disappeared must also be counted among the victims of disappearance in China. Part of the reason why it is so difficult to know the precise numbers of disappeared under RSDL or other mechanisms for disappearance in China is that they are by definition secretive. Furthermore, the same condition that calls RSDL into existence, a claim of national security, allows for the refusal to acknowledge details. For example, while the Supreme People’s Court maintains a database on all cases and includes cases that involve RSDL, many known cases are left out of the database due to national security exceptions on listing case information. Confronting this lack of quantifiable information is precisely why it is so important to engage in monitoring and analyzing China’s use of enforced disappearances, such as the undertaking of the recently launched RSDLmonitor. At the same time, while it is important to develop a fuller picture of how widespread disappearances are under RSDL, arguably what matters more is how systematic the state has been in its legislation and implementation of disappearances. There is already enough evidence to see that RSDL is systematized and organized enforced disappearances as a Party policy. The narratives in the book paint the picture of human rights defenders under siege — many of the chapters describe actively preparing to be taken away by the state, after having watched friends and allies suffer the same fate. Over a year after the “709 crackdown,” what is the state of the Chinese activist community? To phrase the question another way, has the authorities’ brutal suppression campaign worked? How can the international community effectively respond to Chinese human rights violations like RSDL and the torture of detainees? As I write in the conclusion, it is not easy to confront China, which wields what scholars describe as sharp power and economic statecraft to intimidate and influence, while at the same time either manipulating international law and organizations to its own design, such as with Interpol, or hollowing them of their legitimacy, such as with China’s seat on the United Nations Human Rights Council. But, just as the global race to the bottom for trade and production that rushed to exploit China’s low-paid labor surplus decades ago contributed to its economic transformation, giving rise to its present day economic statecraft used to influence the global order, so too has the international community’s acquiescence to China’s rhetoric of rule of law and judicial sovereignty allowed its war on human rights to continue without consequence. Enough is enough. The international community needs to stop pretending it is held hostage by China as an excuse for its inaction. One good example is the recent decision by the United States to sanction former Beijing police chief Gao Yan, who through command responsibility was culpable for the death in custody of human rights defender Cao Shunli in 2014. We need more strategic, targeted, follow through. Some five years ago my friend Wang Quanzhang – China’s last missing lawyer – came over to my Beijing apartment for a Swedish-style Christmas. By this time he had learned to tolerate, if not appreciate, the meatballs, as it was his second Christmas at my house. Since then, I’ve been deported from China and banned for ten years under the Espionage Act. Wang Quanzhang. File photo: RFA. I am unlikely to spend any more Christmases in China. Wang might never be allowed to spend any Christmas anywhere, outside of prison. Wang disappeared on 5 August 2015. For two and a half years his family, wife Li Wenzu and their young son, and the lawyers Wang had chosen for himself should he ever be detained, have not seen nor heard from him. There’s no trial in sight. It may strike anyone reading this that his case is simply another victim’s story. Frankly, there are so many that it’s hard to keep track or become engaged. However, his case represents something far worse, and is a window into the new China envisioned by Xi Jinping and the CCP. China’s attempts to weaken UN mechanisms put in place to monitor how countries implement or follow basic rules and rights are well documented. What is happening in China now – an unprecedented disappearing of critics, lawyers and human rights defenders – goes far beyond being just another crackdown on civil society. It is another step towards weakening a core part of the international law system. One of the first major changes under Xi Jinping’s rule was to extend the power of the state even further by legalizing the use of Enforced Disappearances. For a Party usually known for its abysmal public relations management, it did so with a stroke of marketing “genius”, referring to it as a procedure known as Residential Surveillance at a Designated Location, or RSDL. At first, its use was limited to central government targeting key rights defenders, claiming they threatened national security. People would be secretly detained and placed in hotel rooms and government-run guesthouses. Slowly, they started using special custom-built secret prisons. In 2016, the procedure was adopted by local police. Now it’s being used to target critics of any sort, and for any type of “crime”, and not only those accused of threatening national security. Its use, by any measure, is expanding rapidly. Rights activist Wu Gan and rights lawyer Xie Yang were sentenced the day after Christmas. Wu Gan will spend the next eight years in prison. Both men were disappeared for significant lengths of time before entering the normal judicial process; they were in RSDL. RSDL allows the state to simply take anyone it wishes, no court approval is needed, and disappear them for up to six months. The victim’s family does not need be notified of the victims’ whereabouts, they are denied access to legal counsel, and even more preposterously the prosecutor’s office is almost always barred from visiting the secret facility or victim – despite its nominal role to make sure rampant torture is not practiced. In fact, despite knowing many victims of RSDL myself, I have never heard of someone having had such a visit, and I myself certainly never met anyone from the Prosecutor’s office during my brief stay in RSDL. In China, exceptions quickly become norms. The exceptions allowing all this have quickly become the norm. With these “exceptions”, RSDL becomes enforced disappearance. Enforced disappearances is not only a crime in international law, but a most severe one. It is even prohibited in war-time. If used systematically, or in a widespread manner, it qualifies as a crime against humanity. The West’s tepid response to enforced disappearances, even of their own citizens, who have been kidnapped outside of mainland China, such as British citizen Lee Bo in Hong Kong and Swedish citizen Gui Minhai in Thailand, only encourages China to keep expanding its use. Why not, when there are no consequences. My only hope, or wish, for this Christmas season is that the further exposure of RSDL, through the first ever book on the subject, The People’s Republic of the Disappeared, edited by my former coworker Michael Caster, will help shed light on what is going on in China. This should make the West realize that China’s legalization of what may constitute a crime against humanity is a blow to the whole UN system, and a threat to the West itself, and the rules-based system it advocates. Without a response, how long will it be before Cambodia, Laos, Vietnam and other countries in the Asia-Pacific, all with some history of using Enforced Disappearance themselves, realize the effectiveness of the system in silencing critics, and move to legalize their own versions?….It’s hard to say what 2018 has in store for Wang. His case is testament to the breakdown of any rule of law in China. Despite holding all the cards, China does not have the courage to try him in a court of law. He will, for now and who knows for how long, simply be disappeared. Tibetan language rights advocate Tashi Wangchuk awaits trial for telling his story to the New York Times. Lawyer Wang Quanzhang, detained since July 2015, is facing subversion charges for his work defending in court members of religious minorities. The EU has pledged to “throw its full weight behind advocates of liberty, democracy and human rights” and to “raise human rights issues” including “at the highest level.” If that’s the case, the summit is an ideal opportunity for the EU’s highest officials to explicitly call for these people’s release. After all, the EU’s human rights pledges will only be meaningful if applied in real situations, with determination and conviction. The EU has acknowledged that human rights improvements in China are key to the future of their bilateral relationship, and calling for the freedom of those unjustly imprisoned is an obvious place to start. That the summit falls just ahead of the anniversary of the 1989 Tiananmen Massacre – an event that galvanized China’s contemporary human rights community – places a responsibility on EU leaders to call for accountability from Beijing. 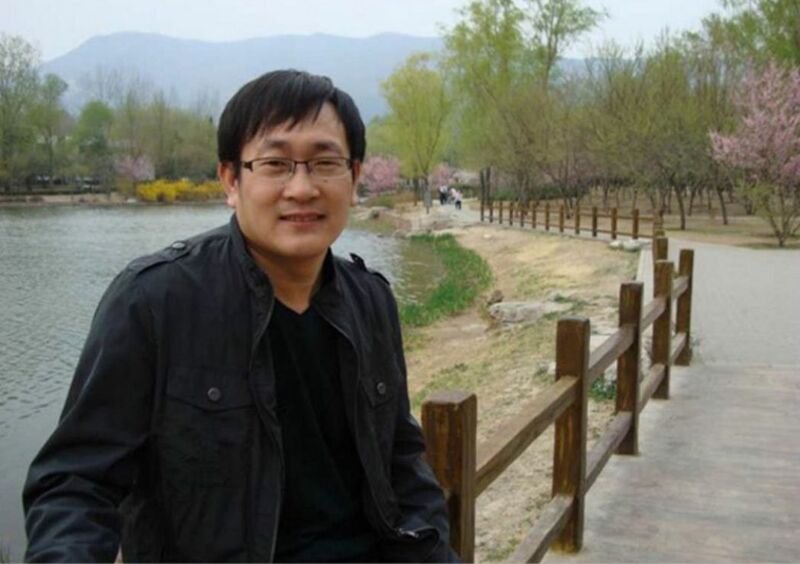 In the early hours of 6 April, human rights lawyer Mr Wang Quanzhang was released from detention in the province of eastern Jiangsu, approximately 56 hours after he was detained and placed under a 10-day judicial detention for “disrupting court order”. The human rights defender was detained for photographing a document which he had been asked to submit to the court, as it was his only copy! The Jingjiang People’s Court released Wang Quanzhang on the grounds that the short detention had already served as a punishment and a warning. However, the human rights defender believes that his release is due to public pressure. Wang Quanzhang had been defending Mr Zhu Yanian, who is a member of Falun Gong and was being tried for ‘using a cult organisation to undermine the implementation of the law’. For more information on this case, please see Front Line Defender’s Urgent Appeal on 5 April 2013 <http://www.frontlinedefenders.org/node/22244> .